« WA Screen Awards submissions close Monday! Games in Progress Forum is TONIGHT! 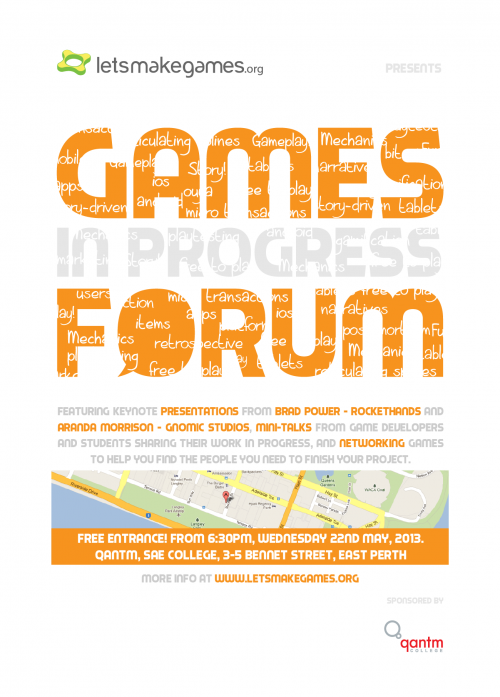 A quick reminder that the Games In Progress Forum is TONIGHT. There are still a half-dozen tickets available at Eventbrite, and with eight talks and games & prototypes demonstrations, you’d be crazy to spend your Wednesday night any other way!